We had no idea we would be standing in the footsteps of royalty and state when we started on Stage 76 of our walk around the British coastline, but we were doing just that almost immediately. We were not in a great palace though, nor a vast hall adorned with gilted livery. 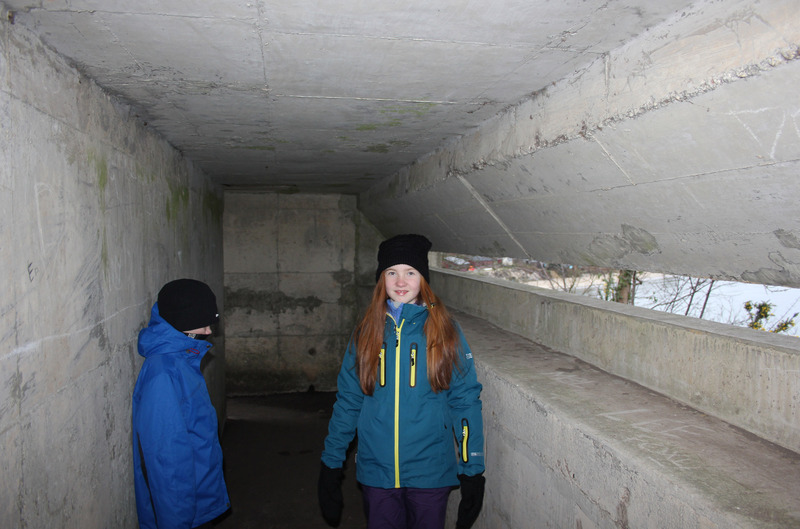 Rather, we were in a chilly grey concrete bunker stretching our eyes over a chilly grey concrete sea. Sat towards the southern end of Studland Bay, this was Fort Henry, the largest and strongest observation post in Britain. Standing at 90 feet long and with walls three feet thick, it was the best place to host some important people who were here to observe D-Day training exercises. Here we were, standing in the very same place that King George VI, Winston Churchill, and General Dwight D Eisenhower had stood on 18 April 1944, discussing their invasion plans. Two weeks before their visit, on the dawn of 4 April 1944, Exercise Smash, a training exercise to rehearse the Normandy landings, had begun. 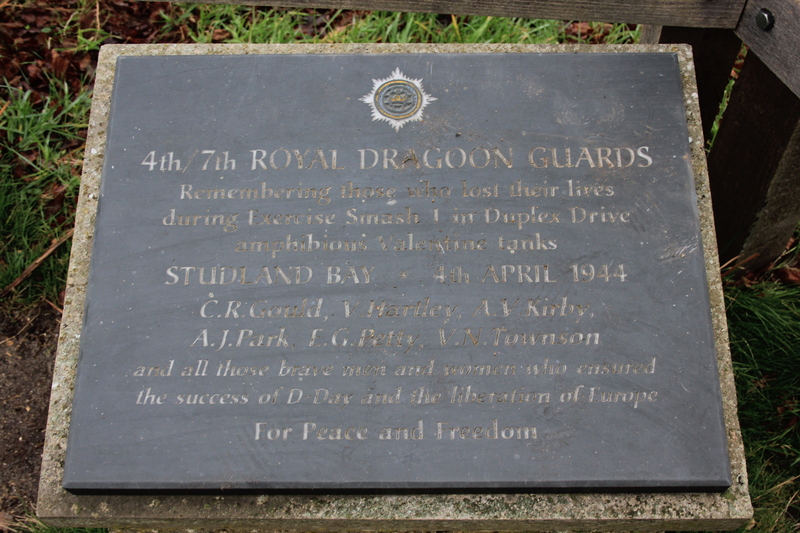 Studland Bay (along with Shell Bay, to the north), had been chosen for the exercise due to its physical resemblance to the French beaches, but also because it was unpopulated: this was no ordinary training exercise and live ammunition was being used. This was unusual, but for Exercise Smash the Allied leaders wanted to simulate battle conditions as closely as possible and get their troops used to the constant and concussive noise of gunfire. Exercise Smash was also used to test out a new amphibious tank. The Allies had realised that if tanks could be launched further out at sea then it would give more protection to their landing ships by keeping them further away from enemy fire on the shore. The answer was the DD (Duplex Drive) Valentine. This was a floating tank surrounded with watertight canvas skirts which, when raised, displaced enough water to keep the vehicle afloat in deep water. The canvas was held in place by a series of metal struts and compressed air pillars, providing support and rigidity. The tank had a propeller at the back which gave it a top speed of about 4.5 knots, with which it could float its way to shore. There, a quick-release mechanism disposed of the canvas and propeller and the tank could speed into action. In calm seas outside battle conditions the principle was solid enough. However, the men inside these tanks were absolutely terrified that ammunition or shrapnel would punch through the canvas, allowing water in and sending the tank to the sea bottom – with the men still in it. And although the canvas skirt was 2.5 metres high when extended, big swells and choppy seas would send water over its rim to the same effect. The principle that the tanks would stay afloat might have been solid, but the tanks themselves felt still more solid to the men sat inside them; if they sank they would go down quickly. Conditions on the morning of Exercise Smash were marginal, with heavy swells. The tanks were unloaded into the sea, but soon found the swells breaking over their canvas ribbons. The bilge pumps couldn’t keep up with the amount of water being taken on and so the men were ordered out while the tanks were operated from the outside using an auxiliary steering system. Eventually, however, as the tanks got lower and lower into the water, the swells breached the canvas screens and several vehicles sank. Although all men had been issued with breathing equipment, they had never used it at sea before. As the vehicles sank, some men got tangled up in the collapsed canvas. Six lost their lives. In 2004 a plaque was unveiled next to Fort Henry as a memorial to those six men. Although floating tanks were used in Normandy it was not the DD Valentines, but modified DD Shermans. Most reached the shore safely, although on Omaha Beach 27 out of 29 tanks in the first wave of the 741st Tank Battalion were lost. After this the landing craft crept closer to shore, where the waves were smaller, and the remaining launches were successful. 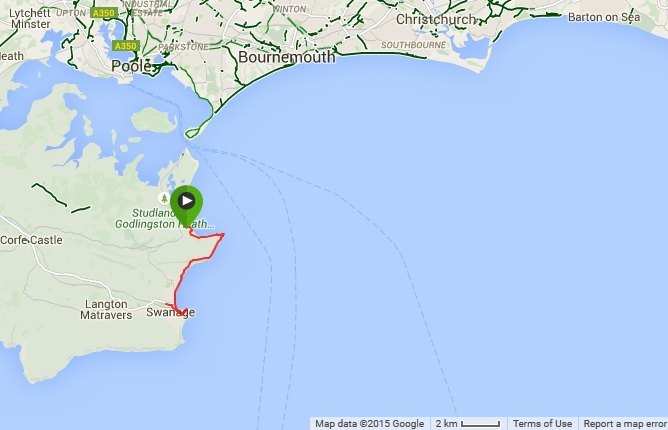 As for the Studland losses at Exercise Smash, the tanks are still on the seabed and are today used as dive sites. 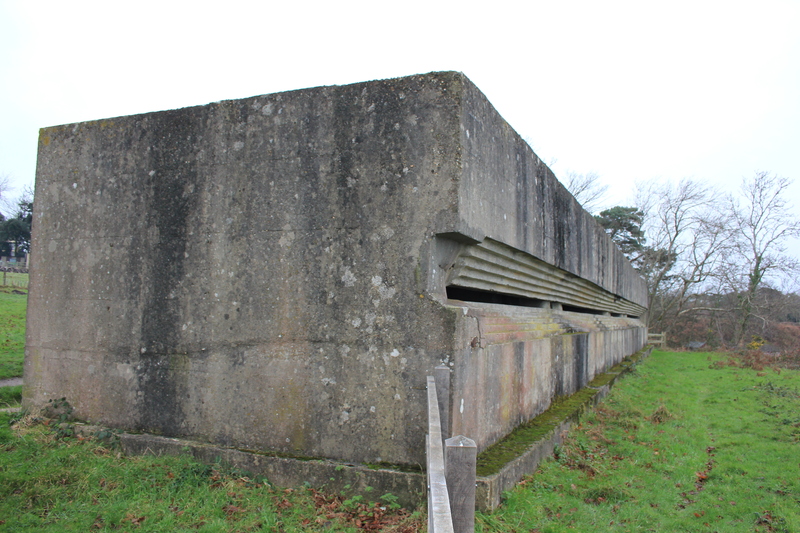 This entry was posted in Dorset and tagged bunker, coast, DD Valentine, Dorset, Exercise Smash, Fort Henry, Operation Smash, Studland, tank, travel, walking. Bookmark the permalink. They sound extremely scary to me – how those men climbed into them and waited to see if they would sink I just don’t know. Very brave.